Inevitably, Juventus took home the Serie A championship over the weekend. Allegri would not have allowed his players to celebrate just yet, as Real Madrid stand in their way of a historic season. The last time these two teams met, Juventus provided their fans with a good account of themselves, and they will take confidence from this. However, Real Madrid were back to their ruthless ways this weekend, with Cristiano Ronaldo bagging another hat-trick. Allegri will have to set up in typical Italian fashion, as conceding a couple of away goals will make their trip to the Bernebau all the more difficult. 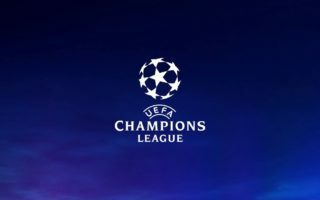 I do believe that the Italians do have capacity to make it difficult for the Champions League holders and will hold on to the draw, allowing the tie to be decided in Spain in the second leg. The return of Pep Guardiola. The current Bayern Munich manager achieved all that was possible in Spain, and it will be an emotional return for him. However, there will not be too much time for reminiscing, as they have the task of dealing with the most potent attacking trio in Europe. Messi, Suarez and Neymar are devastating going forward and will give the occasionally vulnerable Bayern Munich defence a tough time. Naturally, Pep will set up believing that they can cause some problems of their own, and must be focussed on gaining that vital away goal. The absence of Robben & Ribery is a huge loss for the Germans, but they proved against Porto that the squad is more than capable of stepping into their shoes. However, Barcelona will display a far greater threat, and for this reason I can’t see anything except a win for the home side.